+ Did You Know? A caldera is a large volcanic crater typically formed by a major eruption leading to the collapse of the mouth of a volcano. 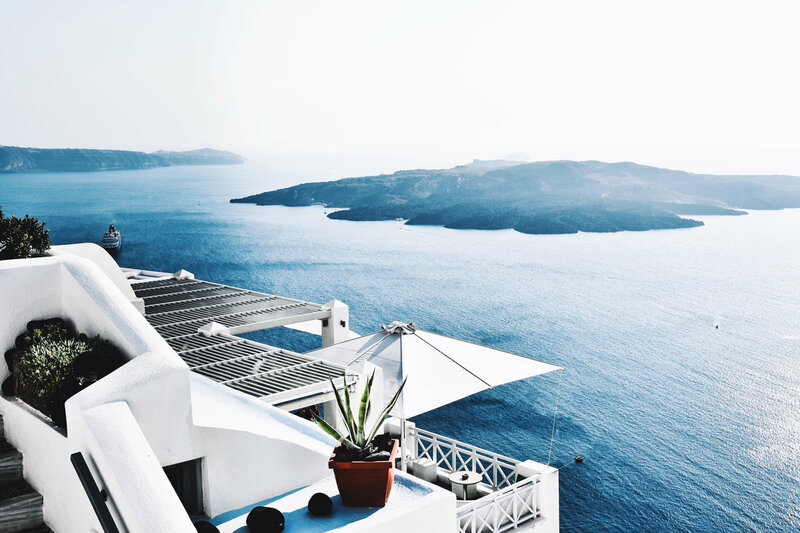 Forming the southernmost member of the Cyclades island group, Santorini is the remains of the Minoan eruption that, 3,600 years ago, destroyed a formerly single island and created the current caldera. 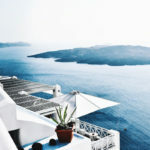 + Traveling Foodie: There are so many flavors to explore in Santorini! 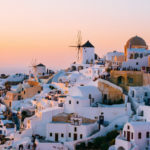 Some must-try Greek foods include tomato kefthedes (tomato fritters), saganaki (fried cheese in phyllo topped with honey, Santorini salad, baklava (phyllo filled with honey and chopped nuts), spanakopita (Greek spinach pie) and Greek fava. About 25 minutes up the coast is where you can catch sights of what people often refer to as arguably the best sunsets you’ll ever see. 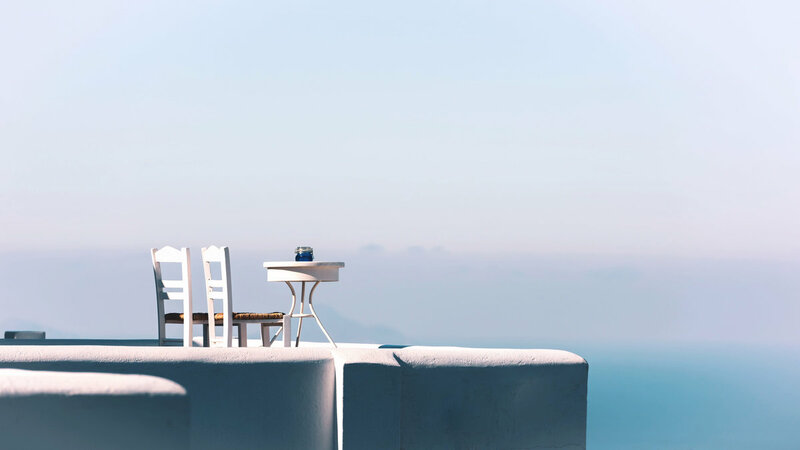 Catch some of the best panoramic views of Santorini from 15th-century Byzantine castle ruins. 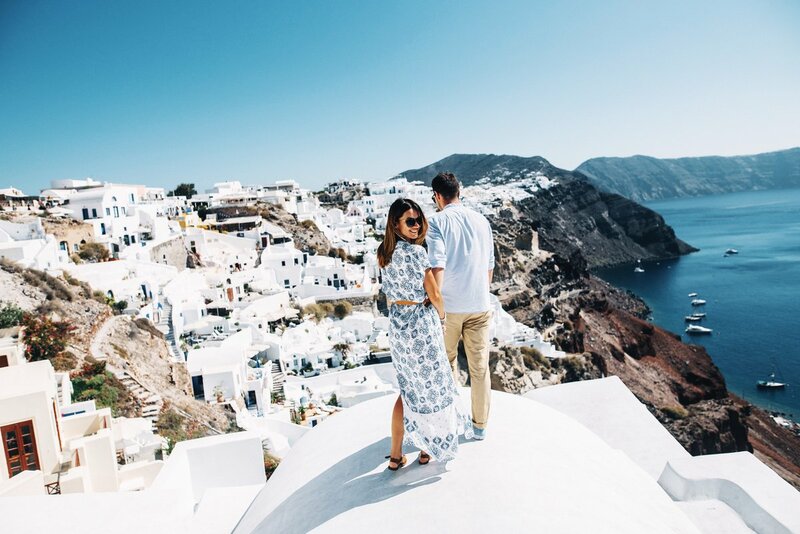 Situated on the side of caldera cliffs, Oia village offers tons of breathtaking viewing spots. 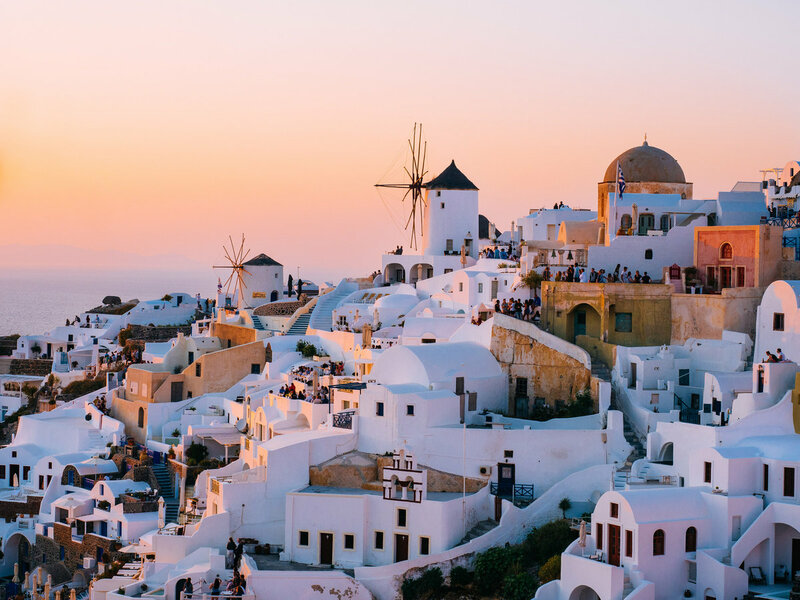 Be sure to get there well before sunset—because of the area’s sundown popularity, you’ll find crowds of people gathered on streets, rooftops and stairs anticipating the one-of-a-kind experience. 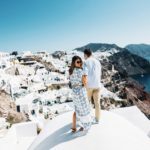 + Crowd-Pleaser: Santorini sunsets are considered some of the most famous sunsets in the world, and Oia is one of the most famed viewing spots in Santorini. The Kasteli Agios Nikolaos is the most popular spot on the island for sunset viewing.